Shane comes by his performance genes honestly. Born into a musical Dublin family, his father was a well-known pianist and his mother a singer. Shane had a party piece of his own by three years of age. Eager to learn an instrument, he started playing trumpet at eight, but decided a louder instrument was what he needed. At 14 he switched to drums, and has never looked back. 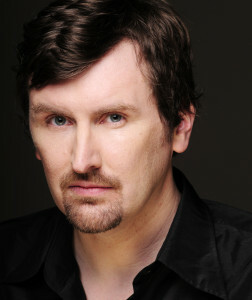 As a drummer, Shane started performing in various bands in his teens and made a segue into acting shortly afterwards, appearing in many musical theatre productions. 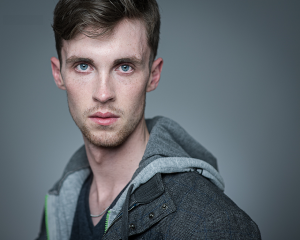 Shane returned to acting professionally four years ago and is hugely dedicated to learning the craft. He loves working with like-minded artists, be they established or just starting, and he is as at home on stage and he is behind the camera. 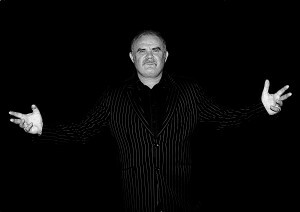 His recent TV/Screen credits include narrating the RTE 1 documentary on Clerys, ‘Children of the Revolution’ (RTE 1), voicing independent film ‘Cattle Raid’ and most recently on TV3’s ‘Red Rock’. Shane played Senior Baptista in last year’s production of (Not a Tradition al) Taming of the Shrew. Aidan is an Irish actor who studied Drama and Theatre in University College Cork. It was here where he discovered his love of performing, and has been doing so ever since. Since leaving college, he began working in professional theatre on shows such as Death of a Salesman with Kolective Theatre (2013), Adrenaline with Journeyman (2014) and The Small Things with Bunkhouse (2014). Following this, Aidan moved to London where he performed on stages such as The Courtyard,Arcola and Theatre 503. He is currently training at Bow Street Academy of Screen Acting where he is working with leading industry professionals Gerry Grennell, Fiona Shaw and Stephen Bridgewater. Next year he will join the cast of ‘The Bloody Irish’ on their Irish and international tour. Johanna’s stage credits include The WIN as part of Smock Ally’s 2016 ‘Scene and Heard’ festival which was invited to extend its run during the festival due to popular demand. She has starred in the Irish Times Theatre Awards nominated Waiting in Line which was the successful recipient of The Toronto Fringe Festival’s ‘Cutting Edge Award’ in 2015, and I’m not ADHD, I’m BOLD! which placed nationally in the Drama League of Ireland's 'One Act' circuit, seeing Johanna win Best Actress for her performance as Ingrid. Johanna has recently concluded her training in the ‘Applied Art of Acting’ with Company D Theatre. She is also one of the main vocalists for the popular band Paddy Dennehy and the Red Herring which were recently featured on RTÉ’s The Late Late Show. 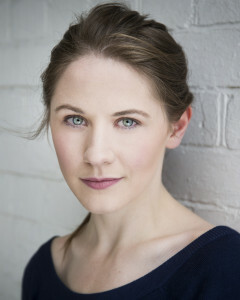 Danielle Blackbird is pleased to be making her Ireland debut as Lucia, her fourteenth Shakespearean role to date. Other favorite roles, within and without the Bard, include Jaques in As You Like It, both Viola and Sebastian in Twelfth Night (though not in the same production! ), Gruschenka in The Brothers Karamazov, Anna in Brian Friel's Fathers and Sons, and Shaw's Saint Joan. 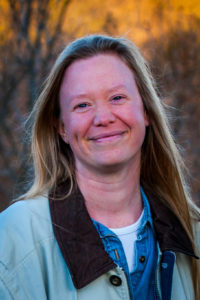 A multi-faceted theatre artist, Danielle maintains a longstanding collaboration with nimbus theatre in Minneapolis, Minnesota where she has recently served as dramaturg (The Kalevala), playwright (The Trial of Mother Teresa), and translator (Ghost Sonata and the forthcoming Brand). Originally from the US, Danielle earned her MFA in Theatre from Trinity Rep Conservatory in Providence, Rhode Island. She currently lives in Stockholm, Sweden. 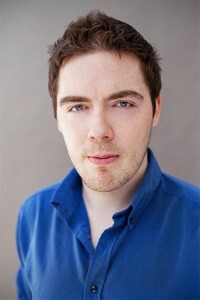 James is a director, actor and writer originally from Enniscorthy, Co.Wexford. He trained with Bull Alley Theatre Company. Previous directing credits include ‘Love and Money’ by Dennis Kelly, ‘Bang goes the Hammer’ with Roger Gregg and Spring Awakening with Ill-Advised Theatre Company. Previous acting credits include Falstaff in ‘Henry IV’ by William Shakespeare, Barre in ‘The Devils’ by John Whiting, Dr Roerlund in ‘Pillars of Society’ by Henrik Ibsen, George in ‘The Actor’s Nightmare’ by Christopher Durand and Hepatitis in ‘God’ by Woody Allen. James is a passionate fan of Musical Theatre with previous acting credits including Seymour in ‘Little Shop of Horrors’, Jack in ‘Into the Woods’, Pilate in ‘Jesus Christ Superstar’, Joe in ‘Fame’ and Murdoch in ‘Titanic’. 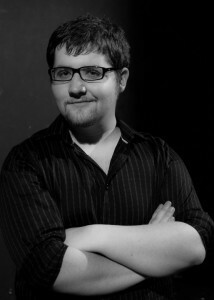 James is a frequent collaborator with Dead Medium Productions for film and radio projects in conjunction with Newstalk. Wesley graduated from the full time Actor Training course at the Gaiety School of Acting. He has credits in film, radio and theatre. His most recent screen credits include playing opposite Barry Ward and Jordanne Jones in 'Dark Matter', the Peter Foott feature 'Young Offenders' and he stars as Clancy in the 1916 short film 'Mother'. Theatre work includes playing Macca in 'Touched' by Ursla Rani Sarma. 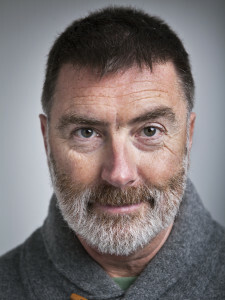 He has also worked with Fishamble in a series of shows directed by Jim Culleton, the most recent of which involved playing multiple roles in a day long event of small plays. Stephanie Behan is an experienced stage actor who started her career on the Drama and Dance course at Marino College of Further Education. She later went on and completed an Advanced Theatre Performance Course at the Gaiety School of Acting. 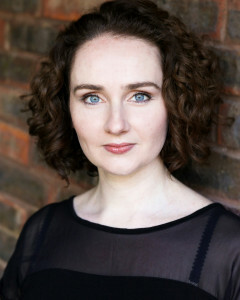 Stephanie had leading roles in playwright Niamh Gleeson’s “The Mariettas” and “The Telephone Exchange” performing both in Dublin Theatres and at various venues around the country. Most recently she featured in “Twas the Night before Christmas” as part of the Bray Arts Festival at the Mermaid Theatre. 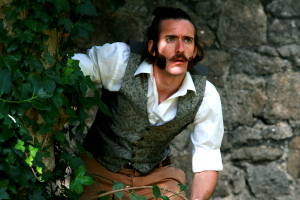 She played The Hostess in last year’s Fortune Fools production of “Taming of the Shrew” at Iveagh Gardens. As well as stage work, Stephanie appeared in a number of TV productions including The Savage Eye; a number of short films; and several advertisements. A bit of a nomad, Muireann always felt most at home in her mother's native Tralee, County Kerry. 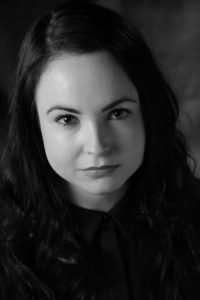 Since graduating from the Gaiety School of Acting in 2013, Muireann has worked on many Fortunes Fools productions including, The Tempest (2012), A (Brief) Midsummer Night's Dream (2013) and The Taiming of the Shrew (2015). She looks forward to working with the company again as Juliet in their up coming production of Measure for Measure - Ireland 1916. Juliette's passion for theatre started at a young age and blossomed in her hometown of Dundalk. She trained in The Gaiety School of Acting where she has just completed the 2 year intensive course. She performed with Fortune's Fool productions last year, in The Taming of the Shrew, and is delighted to join them again. 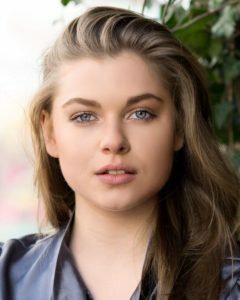 Klancy Casey Williams is an Irish American actress raised in Cork City. Klancy is delighted to be making her stage debut this summer with Fortune’s Fool Productions. 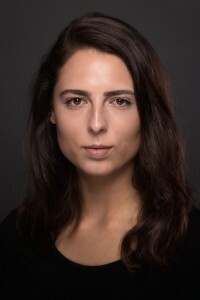 A recent graduate from the American Academy of the Dramatic Arts, Klancy has performed in such plays as Hedda Gabler, in which she played the titled character, Cry Havoc as Smitty, Winnie in Female Transport and has recently starred in a short film named Rosa. Klancy has also trained with Drama Centre London in England and credits both schools for her discipline and work ethos. Albert has recently returned from London where he has studied at the London School of Dramatic Arts. 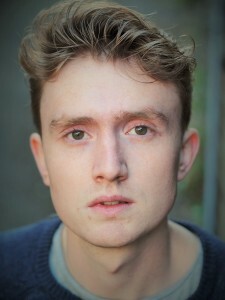 He has starred recently in such plays as Albert in "Around the Kitchen Table", Sean in "South Kentish Town", The Duke Vincentio (Measure for Measure) and a Short Film called "Chased by Demons". 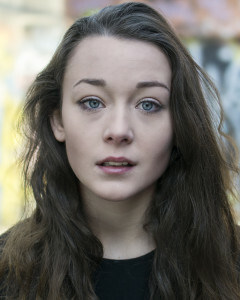 Millicent is a third year drama student in the Cork School of Music, from Carnew, Co. Wicklow. She began acting with her local stage school, performing in many variety shows and musicals. She joined Carnew Musical Society at age 15, appearing in shows such as "Jesus Christ Superstar" and "Man of la Mancha". Since coming to Cork, she has performed with CIT Musical Society in "How to Succeed in Business Without Really Trying", and has also designed costumes for some of their other productions, including "Carrie the Musical" and "bare: the musical". Most recently, she has played Clover in "Animal Farm" with her classmates in CSM, and has starred as Clara Bow in "After You Get What You Want...". 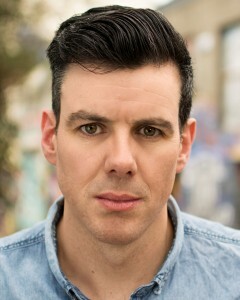 Patrick is a Dublin born actor and musician. Performing professionally in a band for years he found his way to I.C.F.E where he discovered theatre and his love for it. He began his stage career with a performance of Joe Orton’s Loot with up the wall theatre company, moving on to Shakespeare and the classics where he began to find his voice, playing any character he could lay his teeth in to. He has previously worked with Fortune’s fool productions playing dogberry/the watch in Much ado about nothing. Maintaining a keen interest in both classic and contemporary theatre Patrick played his first lead in From the Depths a new piece written for this year’s Scene & heard festival Smock Alley, and he plans to thread the boards until there is nothing left to thread. Carla is from County Mayo. Her first Shakespearean role was Phoebe in As You Like It, staged by DCU Drama at The Helix. In January this year she played Benvolio in Romeo & Juliet. In March she studied Commedia dell’arte with her theatre studies class in Italy. There, they devised a reimagining of Romeo & Juliet, which they performed for students in Albano Terme. Following their performance of this show on their return to Dublin, her class were invited to Limerick to perform for Limerick Youth Theatre. This is Carla’s first production with Fortune’s Fool. Gráinne grew up in a small rural village in County Laois. 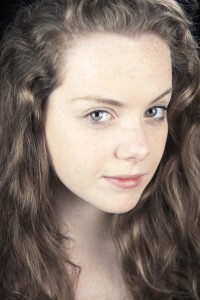 She moved to Dublin at 17 to study Acting on the Full Time course at the Gaiety School of Acting. 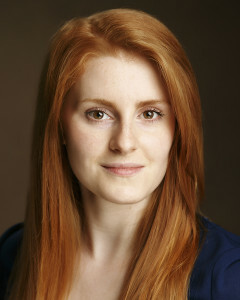 Gráinne has most recently played the pretender in "Proclamation" by Ronan O'Dempsey in the Smock Alley Theatre. Since graduating in June, this is her first professional play to be a part of.